Relax in your own private chemical-free, solar-heated swimming pool situated inside the picturesque gardens of Khum Sak Tong Villa and Pa Sak Tong Villa. An ozone generation system provides a safe, comfortable, and clean experience. 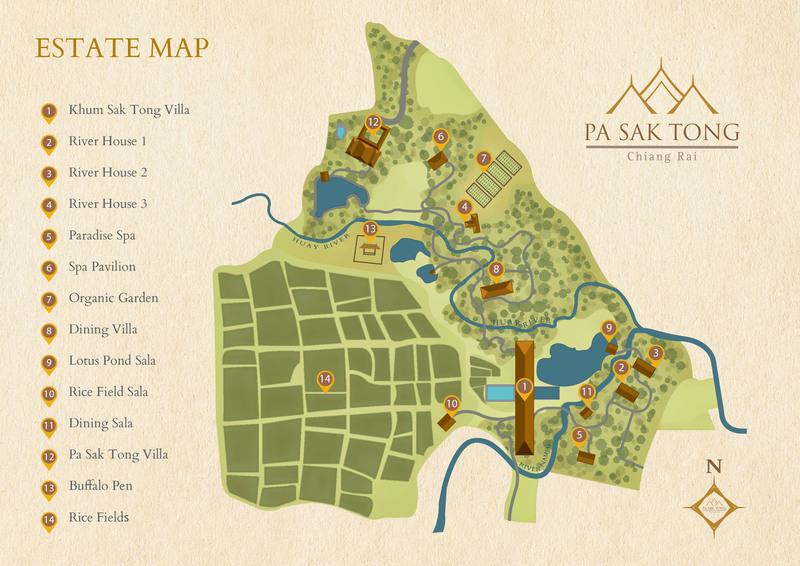 As the only heated swimming pools in Chiang Rai province, you can enjoy them year round. "Amazing experience. The ultimate way to vacation in Thailand!"